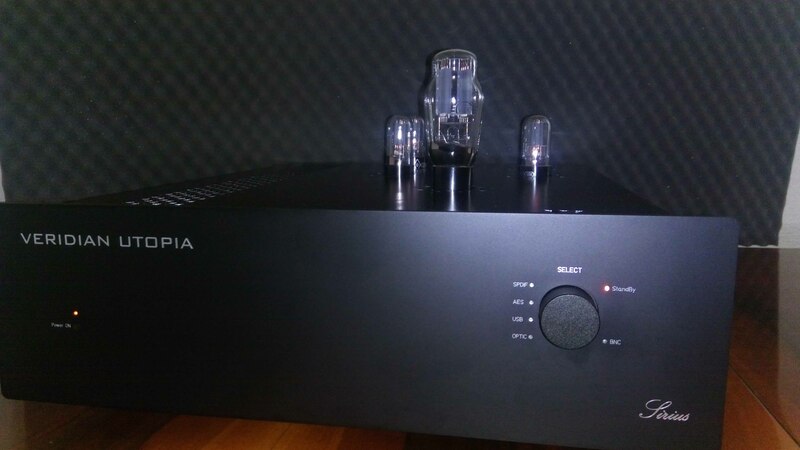 I heard about this dac from my friend here in Norway. The market for dacs are huge , but I wanted something different with a good sound to it. 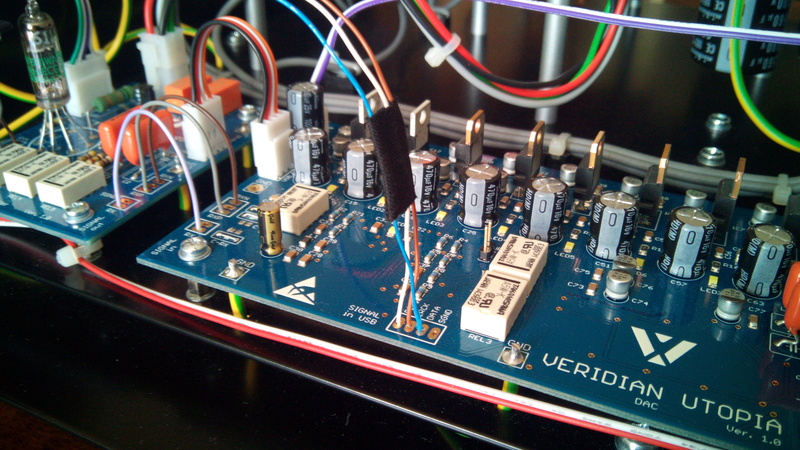 Knowing the constructor is using my favorite dac chip, made it very intersting. From before I have had dacs from Audio Note, Alchemy, Bryston and a few other. My all time favorite was an Audio Note 4.1 Signature, a heavy beast with some unique qualities. Amomg those were the ablility to forget your stereo and feel the music. Having a system consisting from SET triode and speakers that are 99 dB efficient its very revealing to what I put into it. So here comes the dac after a great length of communication with the man that makes them. That was another factor, that I could ask, get answers swiftly and customize the dac the way I wanted it. Right pit of the box I am very impressed with the craftmansship. Solid, tight. And the manual is also very good, explaing it so easy a donky can almost use it. After a inital burnin I started to listen. Many of my favorite groups tends to lean over towards acoustic jazz. But I also like a good concert with rock a,d even funk can be good. This dac will not put extra flavor in your system, meaning adding to the recording more then its supposed to. It takes the recording and treats it gently, giving you what you put into it in a real delicate manner. How is it compared to my old fav, the Audio Note 4.1 ? This one is more true to the music, making you want to listen to old recordings over and over because you now hear more in them. Can it beat the Audio Note? In the bass its more defined and open, the treble more open. About the midrange, its about taste. And the recording. The midrange is sweet, but not as lush as the Audio Note. So how good is it ? If compared to prize alone, its great. If you look at the qualities , not looking at prize am still betting this dac is a hard act to follow. Its really that good. Is there anything I dont like ? This dac is big , and its heavy. So bear that in mind, before you order, it might make you have to rebuild your rack.Despite tubes it does not get too warm. This is amazing value for money. And being able to commicate with constructor makes it easy to set up 100%. Yes, I have sold the Audio Note. Now I want to see how good the pre is. But that is another story. Highly recommended! 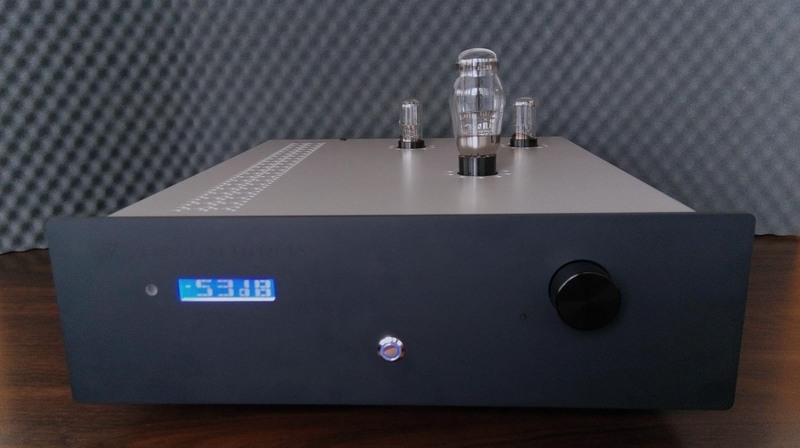 I present to you hand made, high quality tube DAC with unforegettable space of music. This device is equipped with everything what should DAC to have. Every PCB section is designed by me (instead of volume control boards if present), there are used only high quality components (Nichicon, Panasonic,…), custom made main transformers. This type of DAC is really maxed out with all possible digital inputs – USB, Spdif, AES/EBU plus one analog input for preamp. Toslink will be available soon. Main power supply transformer is custom made which is five times oversized to feed all PSU sections with super strong power. 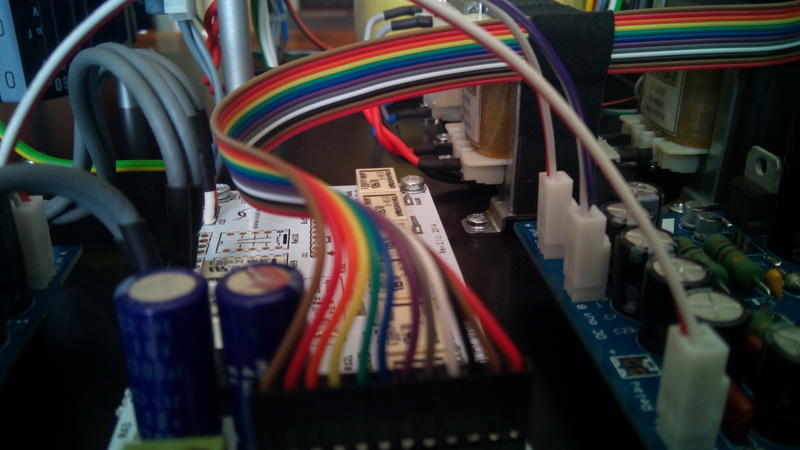 Every section is filtered with oversized capacitors so no need to worry about AC influence. Signal output buffer tubes are feed from direclty heated 5C3S rectifier tube (interchangeable with tubes like 5U4G, 274B, and other with voltage output on pin 8). 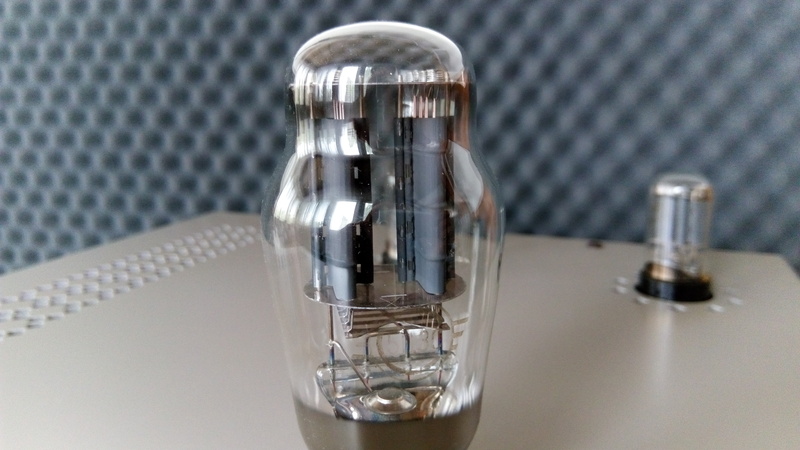 There are used octal signal tubes, namely 6SN7GT/VT-231. Power section is filtered with CLCRCRC. I use only extraordinary high-en chokes and they are used as a standard without extra fees. For Spdif, Toslink and AES/EBU signals there is used 6111 tube buffer to bring square digital signal to exellence. When USB input is selected anodes of 6111 tube are shuted down to prevent power consumption. Heater is in stand-by mode to extend life of tube. DAC chip is used R2R type with maximal input resolution 24bit/192 kHz. Every section of DAC and Ditigal receiver (analogs and digitals) are fed from own power supply – eight in total. There is used R2R (resistor ladder volume control) with display, input selector and remote control. For all signal paths there is used silver in teflon dielectric as a standard too. 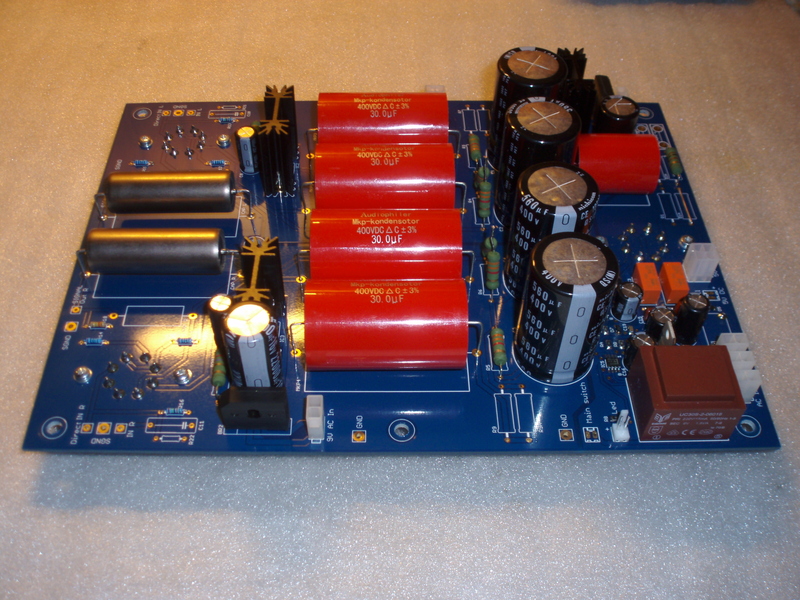 As a standard this DAC comes with in my humble option one of the best capacitor ever made (price / performance) K40Y. But they can be bypassed with Jupiters, I can use only Jupiters alone, or another option – I can use your own prefered capacitors. Device is equipped with “Preheating circuit”. What does it mean? Anode current does not flow to signal tubes until heaters are not sufficient warmed up. This process takes approximately 2 – 3 minutes. Warm up process is indicated with blinking of led on main power switch.